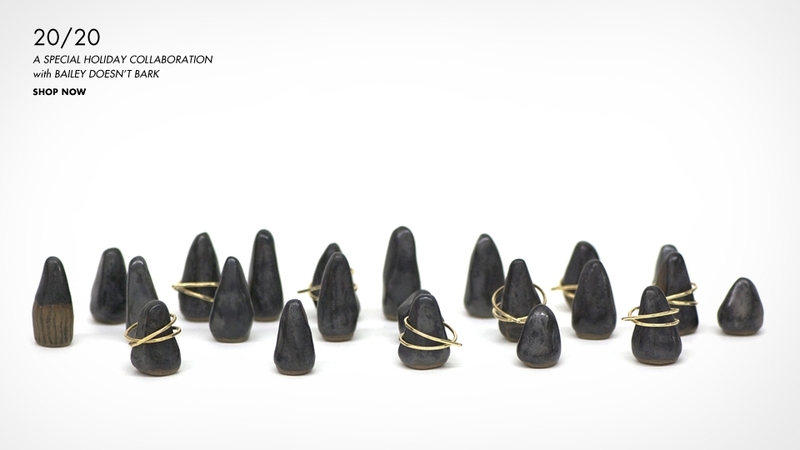 One of a kind ceramic ring base by Bailey Doesn't Bark with Pien-Oka ring in brass by Fay Andrada. This special pairing is a limited edition of 20. Each base is marked with it's individual number in the edition. Shop now!